What’s in the magic story drawer today? Snuggle up with much-loved celebrities as they bring to life a beautiful selection of animal stories for young children. 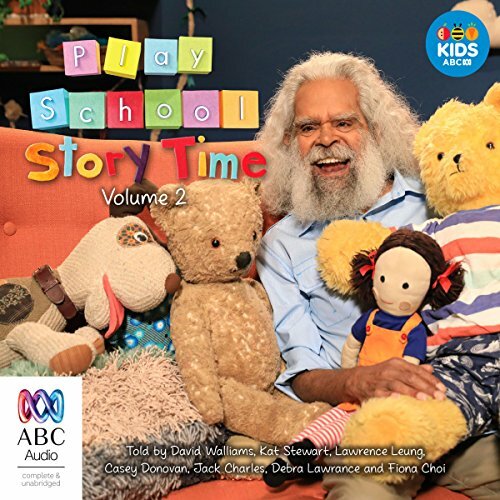 Comedian and author David Walliams, actress Kat Stewart, comedian and writer Lawrence Leung, singer Casey Donovan, indigenous actor Jack Charles, actress Debra Lawrance and actress and singer Fiona Choi all join the Play School toys on the Story Time Couch to read this entertaining collection. A delightful collection of stories told by Trisha and John. 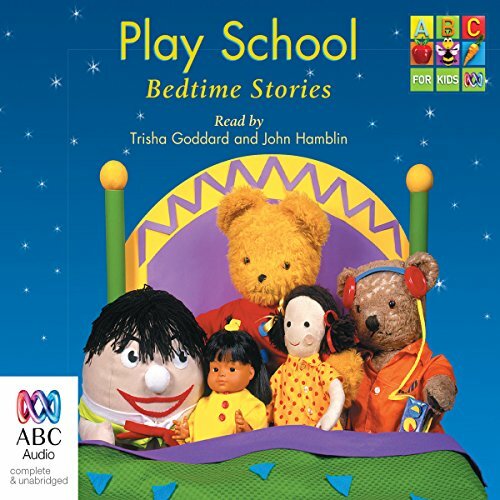 They will amuse and entertain young listeners ready to cuddle up and listen to a story in bed. What’s in the magic story drawer today? Snuggle up with much-loved celebrities as they bring to life a beautiful selection of stories for young children. 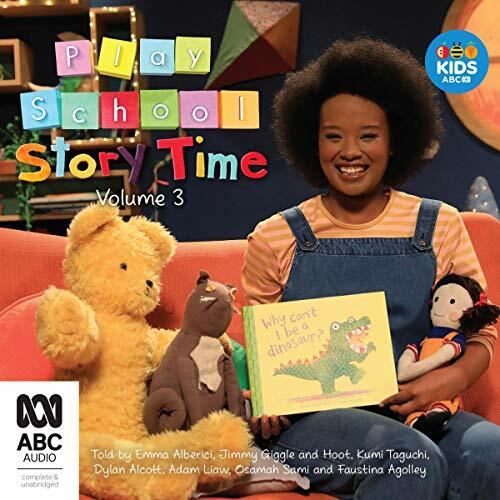 Includes 'Guess How Much I Love You' by Sam McBratney, read by Emma Alberici, 'Owl Babies' by Martin Waddell, read by Jimmy Giggle and Hoot, 'Too Many Pears' by Jackie French, read by Kumi Taguchi, 'The Very Itchy Bear' by Nick Bland, read by Dylan Alcott, 'The Little Red Hen and the Grains of Wheat' by Henrietta Barkow, read by Adam Liaw and 'We’re Going on a Bear Hunt' by Michael Rosen, read by Osamah Sami.